8 tiles from W.H. Grindley china plates. 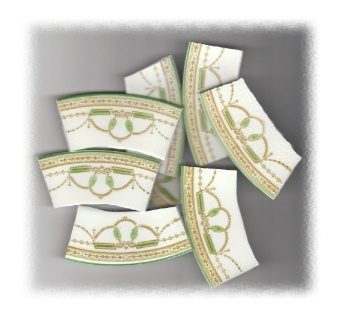 Green & gold art deco design, green rim on off-white china. All rim tiles. Banners average approximately 2.50" wide.